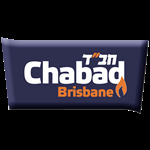 Camp Gan Israel Brisbane is part of the largest and fastest growing network of Jewish day camps in the world. Gan Israel enjoys a well-earned reputation as a trendsetter with innovative ideas, creative programs and new activities. Many a child has been known to wait all year to come back to Gan Israel! Campers enjoy a wide range of exciting activities and excursions in a warm and vivacious atmosphere. Our picturesque camp site, the Jewish Communal Centre Queensland, contain beautiful facilities, well suited to a full program of sports, games, crafts, dramatics and other enriching camp activities. Our experienced staffers work to develop skills, confidence and a sense of fair play within each child. Child development is the most significant ingredient in a healthy camp experience. This is why our staff is the real secret to our success. Our experienced counsellors (Madrichim/Madrichot) are known for their personal warmth and ability to care for each child as an individual. Many staff members return year after year, lending experience and continuity to all programs. Each counsellor is a role model for our children, promising them memories which will last forever! Their love for the children is surpassed only by the children’s love for them. At Gan Israel, campers participate in various sports activities, enjoying a wide array of recreational activities. Our staff will guide campers with patience, guidance and encouragement. Our focus on good sportsmanship and self-confidence, makes everyone a winner! Our weekly program is enhanced with choirs, Olympic type games, drama, ballet, carnivals, dress-up days, overnights, colour-war, hiking, bunk competition, Shabbos parties, Challah baking, and .. oh... so much more. Under the direction of our experienced staff, campers will have the opportunity to design and take home some wounderful Judaica projects. Gan Israel’s “Trip Days”, which are well known, are geared to the children’s interests, are scheduled twice a week and feature excursions to attractions such as Sony Imax Theatre, go-carting, roller skating, bowling, boating, and amusement parks. Kosher lunches and snacks must be sent along with your child daily. Nosh snacks and soft-drinks are available in the Camp Tuck-Shop. Please do not send meat or cheese. Water will be available and served to the children throughout the day.